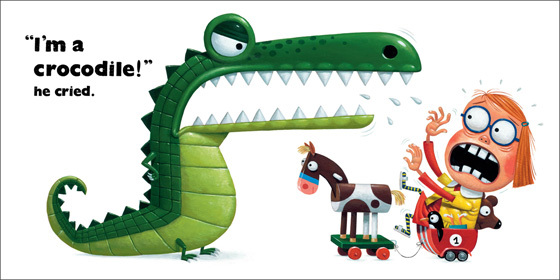 How did your career begin in children’s publishing? By chance! I’d actually planned to go travelling for a year before committing to my first job after university. The then Publisher and Art Director at Meadowside Children’s Books approached me at my final year BA Graphic Design show at Kingston University, and later offered me the position of Junior Designer. It was a fantastic opportunity that I couldn’t refuse, so I tore up my round-the-world ticket and never looked back! I’ve now been the Art Director for four years (and have even been lucky enough to take a four month sabbatical travelling around Asia). I also spent a few months at Bloomsbury, US, working alongside the Art Director, Donna Mark – an exciting opportunity that gave me a really interesting insight into how another much larger publisher operates. What qualities/attributes do you need to become a successful Art Director? – An eye for detail – This is an absolute must, and even more crucial in a small team, where resources are limited. – A shared passion – I think that you really have to love what you do to drive the list; sharing and drawing inspiration from the talented people that you collaborate with. – Creativity – It goes without saying, really. You need to be able to offer ideas, suggestions and comments at every stage of the process, which will hopefully inspire and keep the book developing. – Patience – Meadowside works with a lot of new talent, so it’s really important that we appreciate that these illustrators may need time to develop and get accustomed to the industry. After that, we crack the whip! Ahem, no we don’t. 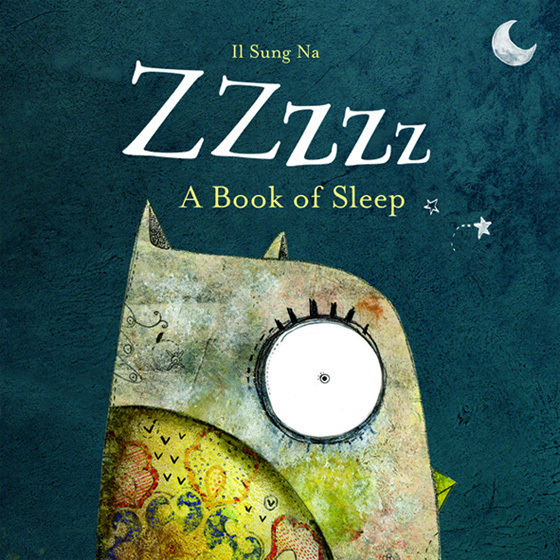 Meadowside Children’s Books is an established independent publisher, recognised for producing unique, award-winning picture books including ‘Zzzz: A Book of Sleep’ and ‘Tortoise Vs Hare’, novelty books such as the ‘Dear…’ Series, and fiction for children of all ages. Tell us a little about this broad-reaching and highly entertaining list and what sets it apart from the competition. When I became the Art Director at Meadowside, I focused on the new talent and fresh ideas that I gleaned from taking in university shows, exhibitions and submissions. I’ve also had the fantastic opportunity to go to Bologna Book Fair every year and seek out some of the best new international talent. We also have a great deal of well-established author and illustrator talent, and I think that this variety has really helped to keep the list fresh and eclectic. What have been some of the key milestones/successes for the Meadowside imprint over the last decade? For me, I think our main success has been, and still is, our ability to collaborate and produce really beautiful, yet commercial books, with illustrators and authors all around the world. It’s obviously hugely rewarding when the books are published internationally, nominated and shortlisted for awards, or read on TV; but it can be just as rewarding when a simple comment is passed back to say how much that book has been enjoyed by adults and children alike. 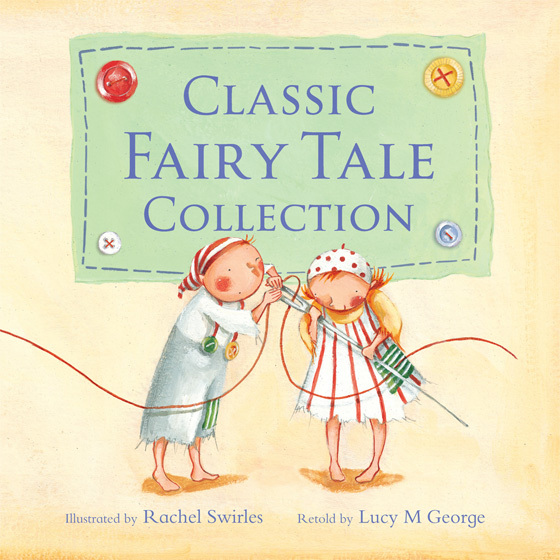 I’m extremely proud of how well some of our once-new illustrators have grown and developed on the list, notably Il Sung Na and Rachel Swirles – both of whom were students when first commissioned and who are now working on at least their eighth new title with us. In 2007, PHP bought Gullane Children’s Books, a really positive development for Meadowside. The two lists are separate and maintain their own identity, but we are all in the same office and it’s fantastic to be around such an exciting and stimulating list, as well as having other editors and designers to bounce ideas off. At the end of 2011, we announced our plans to grow our Young Adult fiction list in 2013, with our YA fiction editor, Lucy Cuthew, commissioning four first-time authors for the growing literary list. Can you walk us through the typical lifecycle of a book at Meadowside, using examples of projects you have personally art directed? This is a big question! The process is usually very organic and can start from the scrap of an idea or a beautiful illustration style, but generally we begin with a great text. I usually get a feel for the style of illustration as soon as I’ve read the text, but I try to keep an open mind to avoid any pre-concieved ideas. 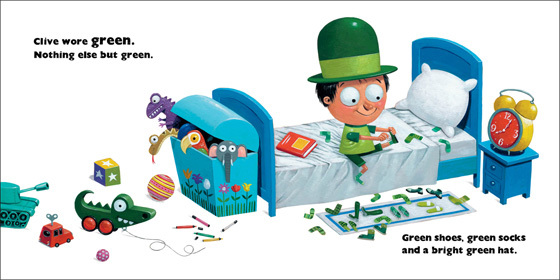 One example is a book I worked on called Green. 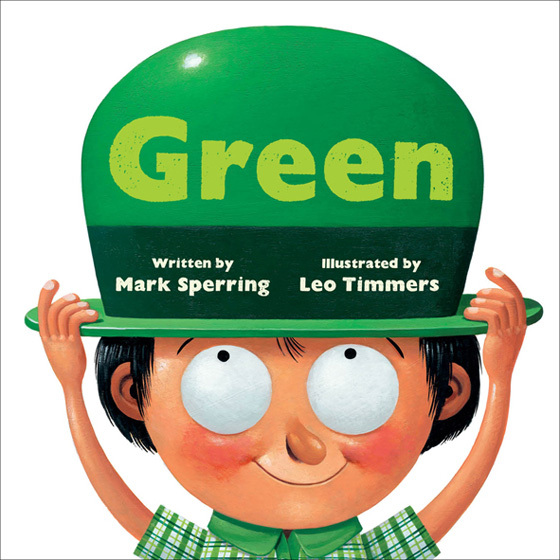 Green is a short, funny text by an author called Mark Sperring, all about a little boy called Clive who likes green… nothing but green! It has an unexpected, slightly dark twist at the end which is very funny. We needed an illustration style that was young, colourful, with a really quirky, humorous edge to complement the text. The Belgian illustrator, Leo Timmers‘ work has a wonderful thick and colourful painterly texture that’s really appealing in it’s neat simplicity. Having happily paired the author and illustrator together, with the strong backing of the sales team, I then put together the layouts. With Leo, as with many of our other international illustrators, it’s not practical to speak about ideas over the phone or in person, so lots of this process is done over e-mail, sharing found images, comments and sketches. Next, the artist will send their roughs for approval, and there is usually a bit of back-and-forth, until the project is all laid out and ready for colour. I think seeing the finished artwork is one of the most exciting and rewarding parts of the process. From here, the book is prepared for print – the artwork is scanned, the files prepared, plotters issued, (re-issued! ), and eventually we finally approve and look forward to receiving that first advance copy! What has been your favourite project to date at Meadowside? The projects I’m working on at the moment are always my favourites. Did I mention the importance of tact in question 2?! Which areas of the business is Meadowside planning to grow over the coming few years and what kind of illustration work will be hot on your radar? 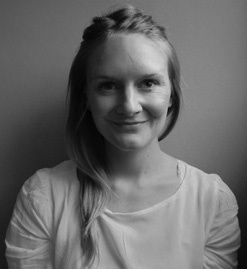 Our exciting list of challenging, contemporary YA Fiction continues to grow, with the signing of four first time illustrators, set to publish on the list in 2013. 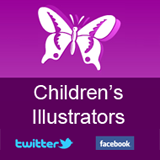 We will also continue to extend our picture book list, looking for lots of new talent to develop. We’re also generating Apps and eBooks, and are optimistic that our plans for this new digital medium will excite and attract lots of new readers to the Meadowside list. There’s no specific “kind” of illustration that we can say will be on our radar – we’re just on the look out for artists with a style that appeals to us, something fresh, exciting and child-friendly, which would suit a text or idea that we’re mulling over and result in a really special picture book. But that could be a style that is beautiful or humorous, painterly or quirky – anything goes! Describe the moment when you offered a new artist their very first commission and provided the first step into the world of children’s books. Amy Husband’s artwork is without doubt the most imaginative unsolicited submission that I’ve had through the post. The submission itself was a large personalised envelope that opened out into a letter, where she brilliantly combined her colourful and quirky style in the lettering and surrounding illustration. I rang her soon after and we arranged a date when we could both meet in person. Looking through her portfolio, she pulled out yet more letters – light, funny hand-lettered notes that she had sent while away at university, turning what seemed like mundane daily occurrences into funny, illustrated anecdotes. An idea grew from here and developed into the first book in the ‘Dear…’ series – book covers that open out like envelopes to reveal a series of letters in portrait format. I think we were both as excited as each other at the commission and couldn’t wait to get started! How do you maintain your creative inspiration? Inspiration can be found all over, and in the unlikeliest of places, but luckily, a lot of the time at work – collaborating with some fantastic editors, designer, illustrators and authors. What kind of content should an illustrator looking to attract the attention of Meadowside include in their portfolio? I really love to see the process – a throw-away sketch can often be the start of a great idea! 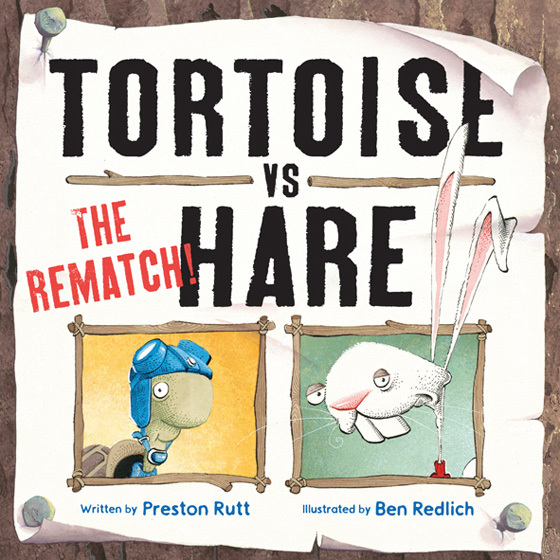 So it’s useful to see as much as possible and it might be better for an illustrator not to spend months getting a single picture book just right, when (for instance) we might have a similar idea already in development. That time might be better spent working across a variety of ideas and projects, since just one drawing could spark something special or strike us as perfect for a text that’s been waiting for an illustrator. However, everyone works differently and there’s no right or wrong way – in the end, it all comes down to timing and luck as well as talent!